Home / Bottomline / Boy Abunda / high school / Krisel Mallari / salutatorian / social media / Video / So, You Want to be the Class Valedictorian? Sorry You Did Not Show You Deserved It! So, You Want to be the Class Valedictorian? Sorry You Did Not Show You Deserved It! 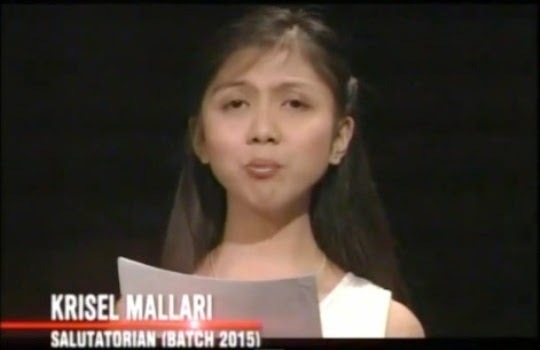 In one of the current episodes of “The Bottomline,” the talk show gave Krisel Mallari the floor to finally deliver her unfinished speech. If you remember, she made headlines and made people discuss about graduating with honors as foundation of personal success. Her speech privilege was cut in the middle when one of the teachers and school administrators sensed that she was no longer along the line with a prepared speech but instead delivered a whining speech where she lambasted the school for being unfair to her. Now that she finally finished and we heard her speech on camera, it is time to ask if she deserved to be the class valedictorian instead of being a salutatorian. Personally, I believed that she made the wrong decision of reading her speech on this popular TV show of Boy Abunda. Apparently, she just showed to people some reasons why she was not awarded the top medal on her graduation day and settled for second best. What went wrong with her speech on TV? First, she already had ample time to prepare for her valedictory address on camera and she should have done it with a bang. She could have impressed people by writing down notes on an index card and delivered the speech without reading words typed or written on several pages of a bond paper. By delivering the speech from memory and just using the index cards as her cue, she could have impressed me and other people as well of her speech skills and probably tilt the balance to her way. Unfortunately, she just showed one reason why she was a salutatorian; she is reactive instead of proactive. Second, while I do not detest people watching “teleserye,” her quoting from one of a popular TV series is an indication of how shallow her level of intelligence is. Yes, she is a bright girl but that just what she has. A person with intelligence should have the sophistication to quote from literature or from classic speeches or essays to enhance a speech. Unfortunately again, she showed the second reason why she was given the second best medal, her personal choices lack sophistication which intelligent people are known for. She was just as shallow as any other ordinary people. Third, inspiration and role modelling is part and parcel of who you are and what you want to become. By quoting something from Dwayne Wayne, is another reason for me why she ended up as salutatorian. Her choice of source of quotation is an indication that she is not a cut above the rest. Yes, there is nothing wrong with admiring people from pop culture but she would have convinced people that she deserved to be class valedictorian if she quoted words from Margaret Thatcher, Golda Meir, or even Cory Aquino. Finally, the nail in the coffin with regards to her being a salutatorian is her lack of maturity. Maturity is defined in psychology as the ability to respond to an environment or situation in an appropriate manner. It is learned instead of instinctive. In this definition, she unwittingly revealed her level of personal maturity that she acted on instinct instead of reason and that is the biggest reason why she ended up as salutatorian. When you wanted to become the creamiest of the crop one must only not have the brains but a certain swag that people can easily identify that you rightfully owned the spot , however in her case I was kinda expecting more. My main concern was her speech and I agreed to what the writer wrote about her humiliating situation. Intelligence comes with sophistication and with speeches comes a great need to convey one's mind. When you started quoting from Teleserye to Dwaynes Wayne one would be asking was she even interested in literature ( both English & Filipino), and to think there are so many of them that she could have used especially when she talked about injustice. 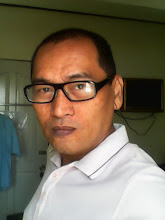 ie ( M.Luther, Voltaire, F Sionil Jose, AmAdo Hernandez) author like Lemony Snicket to name the few. I also do not condemned students in watching Teleserye or having a player as their role model nor you do not have to be a brilliant orator to deliver a great speech. However I for one demanded something more from her material and found that she's lacking in some area of her speech. People nowadays are more becoming critical and not so easy to please , and to top that they make certain demands and wanted to be assured that your effectiveness & intelligence when it comes to speech is above others. Therefore in that particular moment it is not up to her to proclaimed that she was suppose to be the Valedictorian it was up to us her audience to decide and sadly I think that she did not realize that she lost that entitlement once she step foot on that stage. There was no turning back the speech was unprepared and it wasn't catchy and the worst part is she get interrupted couple of times while delivering her speech and got boot out of the platform. The results were dramatic and people like me realize that she was not cut from the same tree as those people with fantastic minds. Lastly Eleonor Roosevelt have said" Great minds discuss ideas; average minds discuss events; small minds discuss people ".